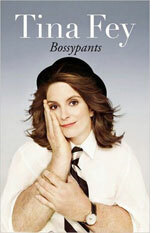 Here’s what Tina Fey, Saturday Night Live (SNL) writer, stand up comic, and 30 Rock executive producer, says about being a boss, which she doesn’t find hard. and then getting out of their way. In other cases, to get the best work out of people you may have to pretend you are not their boss and let them treat someone else like the boss, and then that person whispers to you behind a fake wall and you tell them what to tell the first person. Fey also narrates parts of her childhood and teenage years growing up on the edge of Philadelphia as the daughter of Irish/German and Greek parents, going to college, taking improv comedy at the famous Second City Theatre in Chicago and touring, working with Lorne Michaels at SNL and her famous role as Sarah Palin, and being a wife (married to Second City Director Jeff Richmond) and mother. I would have liked to have heard more about Fey’s experiences as screen play writer of Mean Girls and acting in it. However, this bio was still enjoyable to read. Check it out!